2.3 The Screen Isn’t the Best In Absolute Terms, But Why Complain? Sony has taken a real beating in recent years. Even after shedding the dead weight of the Ericsson joint venture, Sony has yet to find its stride. The Xperia Z smartphone was a valiant effort, but other OEMs are overshadowing that device as 2013 drags on. The less competitive Android tablet space might be where Sony can revive the Xperia name and win the hearts of Android users. And this is the device Sony is hoping does it: the Xperia Tablet Z. Tablets are a natural market for Sony, which is traditionally poor at managing carrier partnerships in the US, but is this the product we’ve been waiting for? Sony's first attempt at Android tablets came in the Honeycomb era, but The Tablet S with its magazine design proved too expensive and foreign to entice consumers to part with their money. This time the Tablet Z doesn't try anything risky – it's just taking the standard tablet formula to the extremes. The Tablet Z strives for a premium feel, harkening back to the Sony of yesteryear. It’s water and dust-resistant, while still managing to be the slimmest 10-inch tablet out there. Is there enough polish to justify a premium price? Let’s find out if the Tablet Z has enough going for it to carve out a niche in the tablet market. Excellent hardware build quality. This device feels incredibly solid and free of flexing or creaking. Thin and light. The Tablet Z is the thinnest and lightest 10-inch tablet out there, and that makes it incredibly comfortable to use. The soft touch back makes it easy to hold onto, as well. Water and dust-resistant. What can I really say? You can take it out in the rain or drop it in the bath and it will still work. The display. It has a reasonably high resolution, and the gapless technology makes the viewing angles much better than what we saw in Sony's previous products. 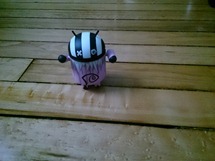 Limited Android customization. Sony didn't try to cover up Android, but did add its own services on top. Features like DualShock 3 support, battery saving modes, and floating widgets are fine additions. 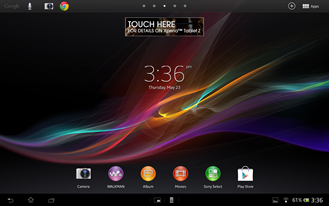 Some of Sony's apps and services are broken or poorly suited for the Tablet Z. It doesn't look good when a new $500 tablet has multiple apps included that simply don't work. 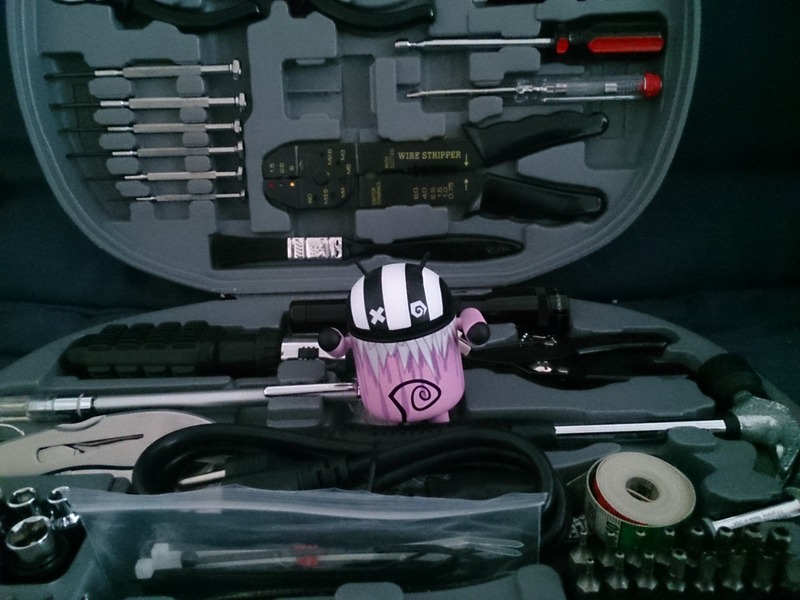 Even if some poking around can fix things, that's still a bad first impression. Still running Android 4.1.2 at launch. This is by no means a deal breaker, but it's concerning this device is not even on 4.2, which came out last fall. An update is expected, but we don't have details yet. In the meantime, there is no multi-user support as Sony discontinued its custom user-switching solution. Camera performance is bad indoors. Sony's Exmor sensor does okay outside, but indoors it's not worth using. Flimsy port covers. 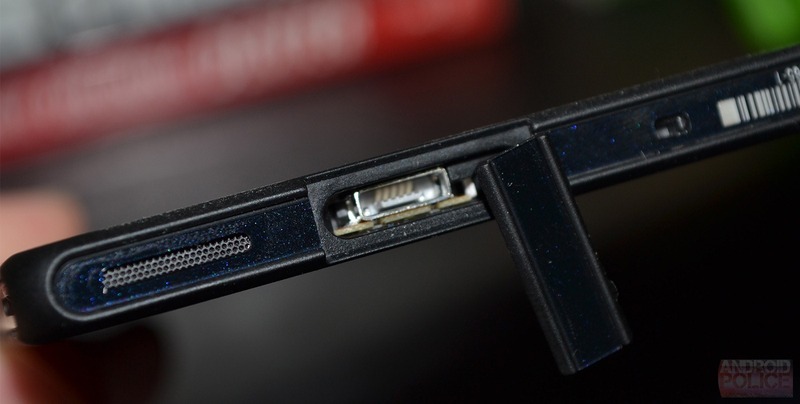 The port covers themselves are hard enough to open, but the plastic tabs holding them on the tablet look weak. 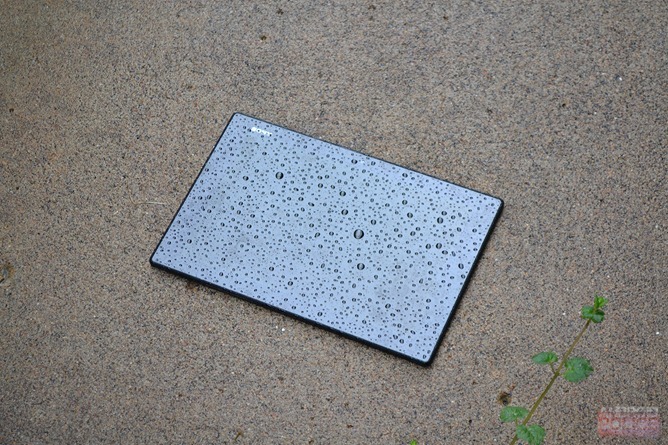 If one breaks off, the Tablet Z might not be very water-resistant anymore. Some minor design issues on home screen and apps. Sony changed a few things for the sake of changing them (i.e. the white edge glow). From the moment I picked up the Xperia Tablet Z, I was sold on the 10-inch form factor all over again. 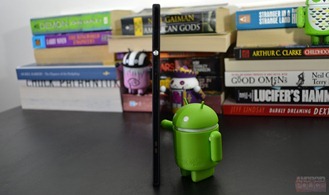 I moved from 10-inch tablets to the 7-inch Nexus 7 and never looked back. All the larger slates I ever held felt like more hassle than they were worth -- they were all heavy, awkward, and felt like junk. 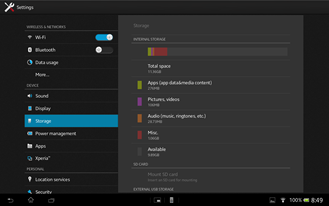 The Xperia Z has none of these problems. 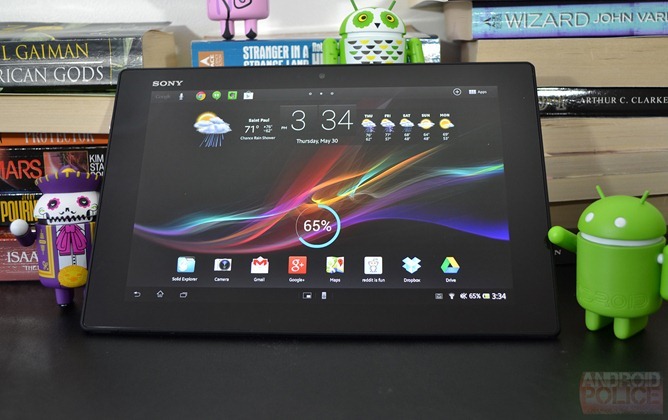 The Xperia Tablet Z is only 6.9mm thick and 495g in mass. What does that mean? 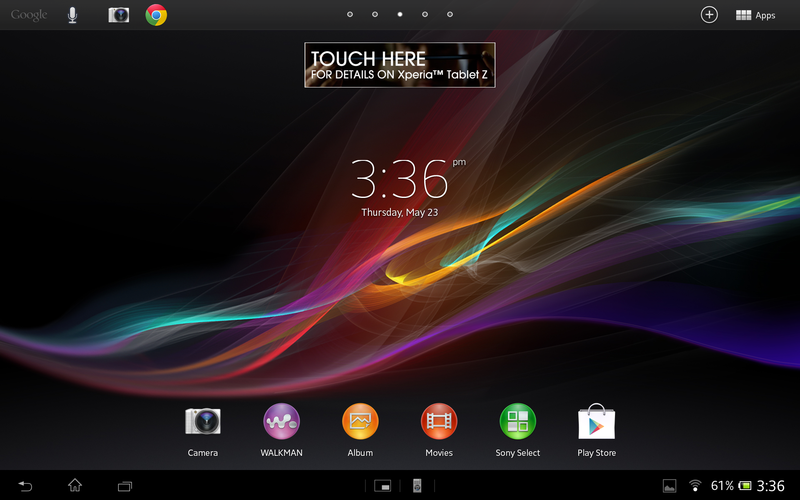 It means the Xperia Tablet Z is incredibly unreal to hold. It’s the only 10-inch tablet I’ve ever used that I felt comfortable holding in one hand while operating it with the other. I find myself picking it up and surprising myself with how light and thin it is even after a few days. In addition to the thinness and low weight, the Tablet Z is very well-balanced. Sony calls this “OmniBalance,” because everything needs a trendy camel-capped name. What it really means is that the Tablet Z’s mass is evenly distributed and centered. This makes it comfortable to hold in landscape or portrait. The hardware build quality is close to immaculate. There is not a hint of give in the frame, nor the slightest evidence of creakiness. Surprisingly, it’s all plastic, and it takes a lot of smart engineering to make plastic feel this solid. That shouldn’t be a huge surprise, considering it’s water and dust-proof. Whatever else you think about this tablet, it cannot be denied it feels very premium. The back is all soft touch plastic, which is great for making it stick in your hand. However, it also collects fingerprints like a particularly skillful forensic investigator at a crime scene. But it’s not like you spend a lot of time staring at the back of a tablet, right? That soft touch material is also carried through to strips that run around the edge of the device, along with a central inlay of shiny plastic. Along the top edge there is nothing you’d ever interact with – just a mic and the IR blaster window. On the right edge there’s nothing until you get near the bottom where the first speaker is housed (more on the sound later). Right around the corner on the bottom edge is another speaker and a slot for the microSD card (and SIM in models with mobile data). For those of you who refuse to even acknowledge the existence of Android devices without SD cards, Sony loves you. 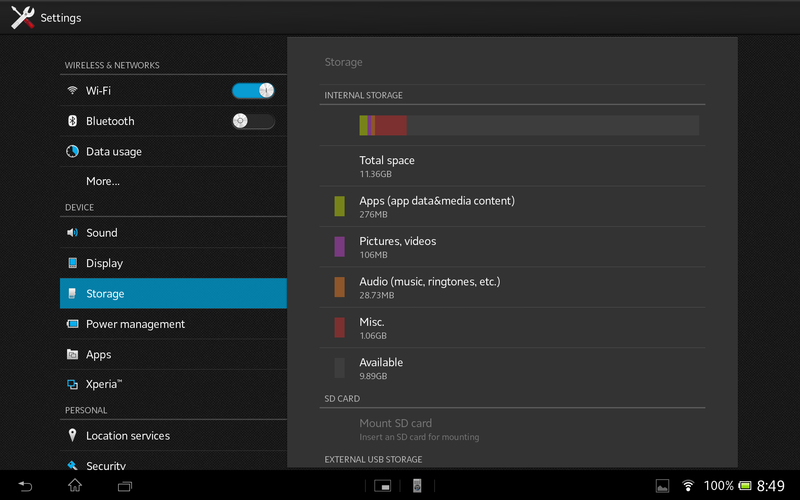 You can toss up to 64GB of additional storage in the Tablet Z. However, getting to the card is going to be a pain. All the slots and ports on the Xperia Tablet Z have the same odd covers. 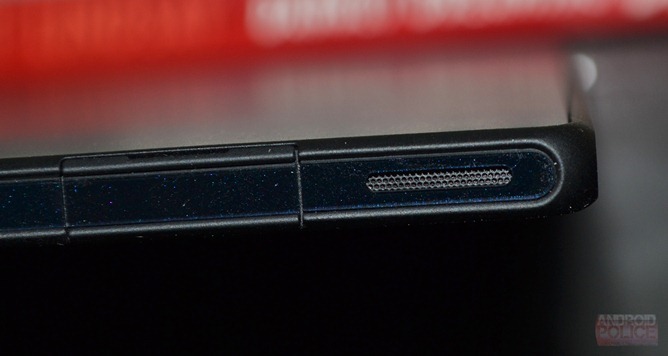 There is another one at the other bottom corner next to speaker number three -- this one for the microUSB port. 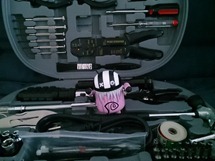 All the port covers are made from the shiny plastic material, and are frustrating to open. There is a small back-facing tab that you’re supposed to hook a fingernail into. I have to flip the device over and look for the slot most of the time. The covers pop out, then rotate to the side. They feel flimsy, and I’m afraid they’re going to break off eventually. That spells bad news for the waterproof nature of the Tablet Z. Thankfully, the port covers are the only troubling aspect of the Tablet Z’s build quality. On the left side of the tablet is another one of those accursed port covers (for the headphone jack), volume rocker, a notification LED (nice to have, but strange placement), the power button, and a fourth speaker near the bottom corner. The power button and volume rocker are clicky. While the power toggle is very solid, the volume rocker feels somewhat loose. It works, but doesn’t feel awesome. Like the Xperia Z phone, the Tablet Z has fairly angular corners and doesn’t go in for that wussy tapered back thing -- it’s basically a very flat brick. For a phone, that’s a bit of an issue. You want a phone to rest comfortably in the hand. A tablet isn’t quite the same -- you don’t have to wrap a hand around it. Holding the Tablet Z by the edge is completely comfortable, and the generous bezels help as well. Sony’s new baby conforms to IP55 and IP57 specifications for “ingress protection.” The IP ratings tell you how well a device’s enclosure protects it from the environment. The first number indicates the solid particulate rating (i.e. dust), and the second is for water. In the case of the Tablet Z, the ‘5’ indicates dust protection, which is different from dust-proofing. The second digits (5 and 7) indicate protection from both water jets and immersion. 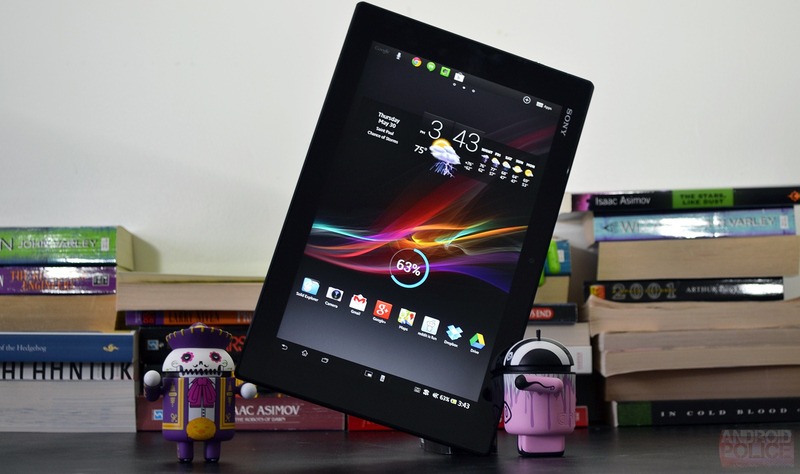 Sony says the Tablet Z can withstand the pressure at 1 meter for up to 30 minutes with no ill effects. If you want to take a bath with the tablet, or go outside in a dusty environment, have at it. I’ve taken the Tablet Z for a few quick dips, and can confirm that it still works just fine. I can’t imagine this being a make or break feature for many folks, but it’s nice to worry a little less about damaging the tablet. It also makes the device easier to clean of all those fingerprints. I will say, however, that the screen works very poorly when it’s wet (not a surprise). The Screen Isn’t the Best In Absolute Terms, But Why Complain? 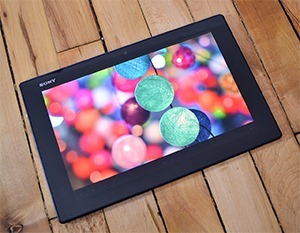 The front of the Xperia Tablet Z is dominated by a 10.1-inch 1920x1200 LED-backlit LCD “Bravia Reality Display.” The Bravia-branded stuff is a post-processing engine for video and images, but the difference is extremely subtle. That’s not the important aspect of this panel anyway – more relevant is how it looks. In a word: good. A tablet like the Nexus 10 has a considerably higher resolution, 2560 x 1600 and about 300ppi in this case. The Tablet Z tops out at 224ppi, which turns out to be enough for my eyes. If I hold the Tablet Z uncomfortably close to my face, I can definitely see the pixels, but that doesn’t matter – you’ll never use a tablet like that. At a normal viewing distance – say 18-inches – the screen looks crisp and clear. Text is extremely readable and the pixels melt into lovely, fluid images. Because this is a gapless display, the viewing angles are much better than its smartphone counterpart. 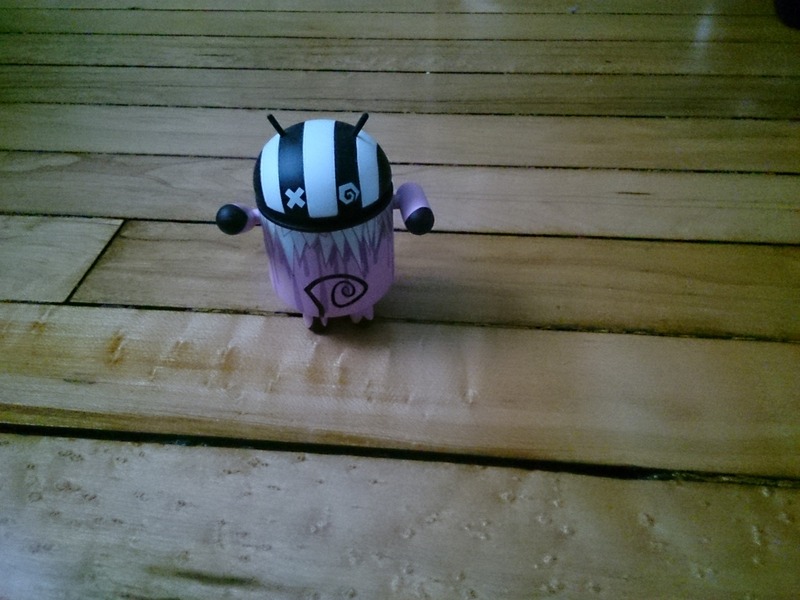 The black levels are good on this device – better than the Nexus 7, for example. Below roughly 50% brightness, the blacks stay inky, but past that it starts getting a bit gray. It’s a far cry from AMOLED blacks, but it is above average when compared to other LCD panels (at least in my estimation). We fetishize pixel density maybe a little too much. Having a higher resolution is great, but not at the expense of performance. This screen gets the job done, and does it well. You don’t need to stress about the raw resolution numbers being lower on the Tablet Z than the Nexus 10. We all laughed when tablets started coming with rear-facing cameras, didn’t we? No one will ever take a picture with a tablet, right? Right? Apparently people will take pictures with anything. Put a camera in a potato, and someone is going to take a picture with it and post it on Facebook. 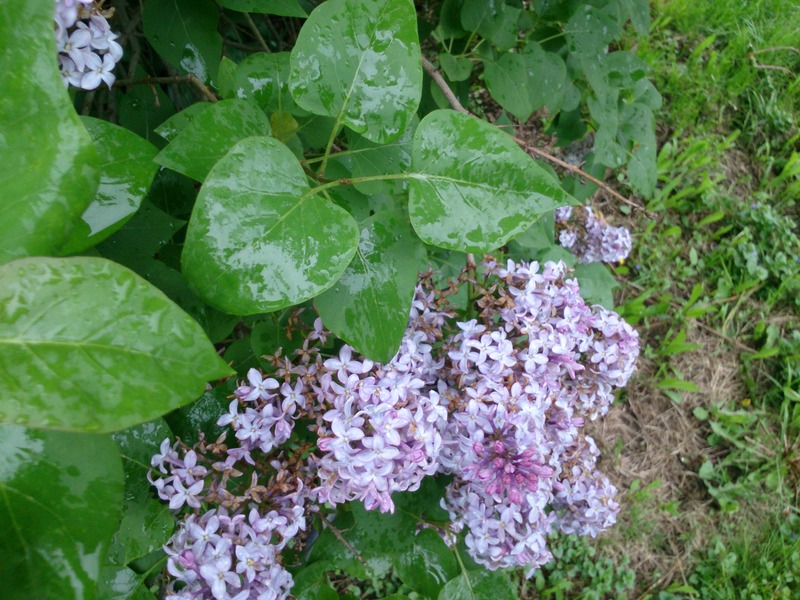 The images taken with the Tablet Z might as well be taken with a potato – they’re not terribly good. 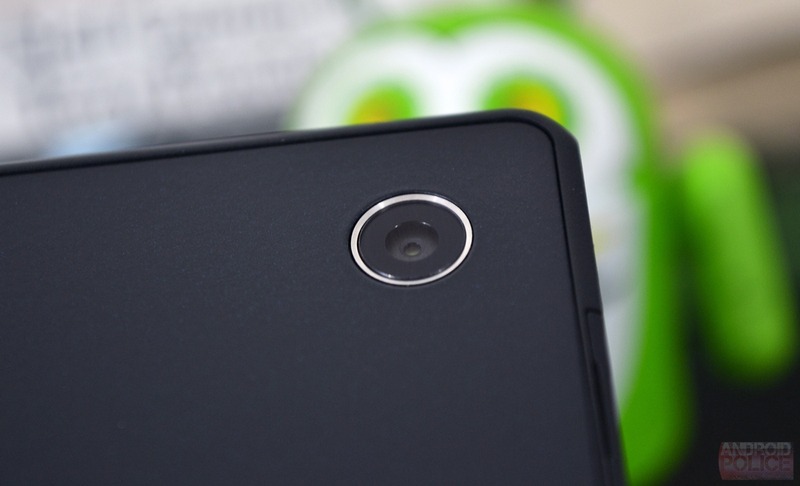 The 8MP Exmor R sensor is the same basic part used in the Xperia Z phone, but its performance in this case leaves a lot to be desired. In good outdoor lighting conditions, it produces reasonable images, though perhaps a bit washed out. Focusing is quick, and motion blur is kept to a minimum. The real trouble comes in less than ideal lighting conditions. Compared to most other devices, the Xperia Tablet Z takes terrible indoor shots. In medium light it spits out loathsome, noisy images not even fit for Instagram filters. There appears to be some softening going on to mitigate the noise, but it just makes things blurrier. The colors are also bizarrely green-tinted in some shots. There is also no flash. Check out the comparison and sample shots below (normal indoor lighting, no flash). I suspect some of this (especially the color issue) is software related, but I don’t think any amount of tweaking can solve the issues with this sensor. There are various modes in the camera app, but none of them seem to do much for the quality. The front-facing camera takes pictures closer to what you’d expect from a 2MP sensor on a mobile device. It’s still noisy, but not uncharacteristically so. The Xperia Tablet Z packs a 6000mAh battery in its slim frame. 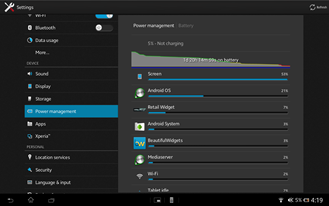 This is a trade-off to be sure – the much heavier Nexus 10 has a 9000mAh battery. This makes all the difference between a full-day device and one that needs to be plugged in during lunch. 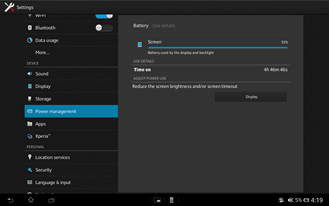 With moderate usage, the Tablet Z lasts about 2 days with 5 hours of screen-on time. I would wager the device could hit 6 hours of screen time without so much standby. These numbers assume the included power saver modes are not used. Stamina Mode disables data when the screen is turned off. You'll get killer standby time with Stamina Mode, but notifications won't come through. The low battery mode simply disables radios and turns down screen brightness. It's nothing special in that regard. 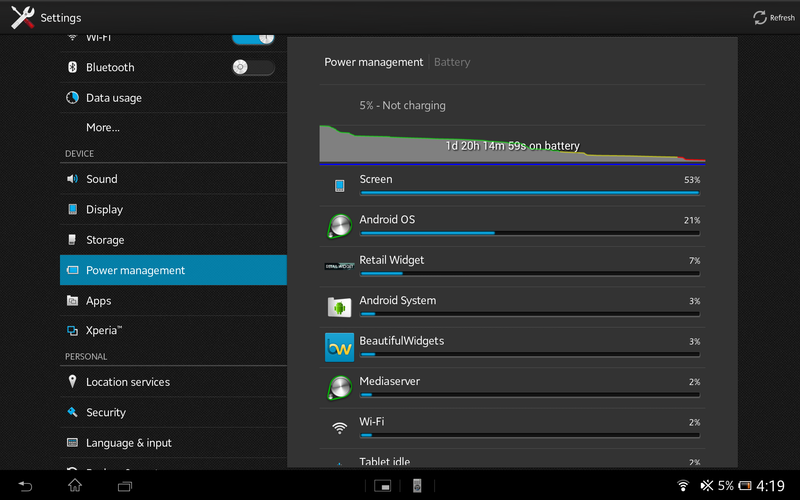 The battery life should be sufficient if you're not going to make the Tablet Z your main day-to-day device. Sony is keen to point out that the Tablet Z has a “3D surround” sound experience, but I think that’s being a little generous. Some sites are reporting that the Tablet Z has four speakers, but from what I see in the product documentation, it’s just two speakers with two grilles each. The grilles are clustered in pairs near the bottom two corners, thus the sound doesn't seem to be coming from four distinct places. The speaker grilles are positioned in a way you’re not too likely to block all of them, but the bottom two might be covered if you rest the device on your lap. In that case, the sound still comes out of the side grille. That's a nice touch. The sound gets fairly loud, which is great. Low volume is an issue that plagues a great many tablets and phones. While the volume is good, the speakers are tinny and tend to distort when cranked up. The low end is also very weak even with the EQ settings tweaked. These problems are par for the course on mobile devices. The audio coming from the Tablet Z is good - better than most other Android devices I’ve used. The HTC One bests it by quite a wide margin, though. The Tablet Z is more than sufficient to listen to a tune or podcast, but don’t expect perfect fidelity. Some OEMs twist Android into bizarre shapes that sometimes scarcely resemble the original, but Sony doesn’t have the same desire (or maybe resources) to do that. In fact, it ships with Chrome as the default browser, just like Nexus devices. 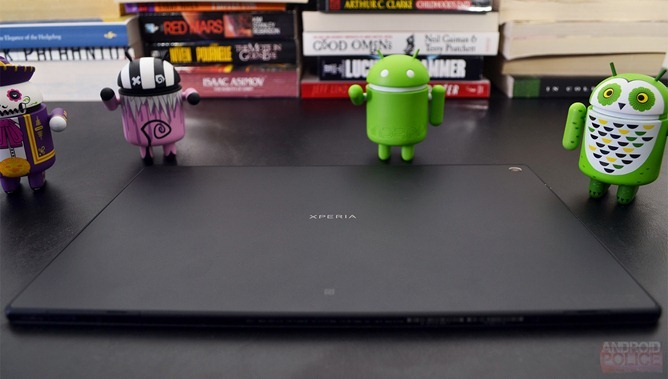 The Xperia Tablet Z is running Android 4.1.2, but Sony says a 4.2 update is incoming. 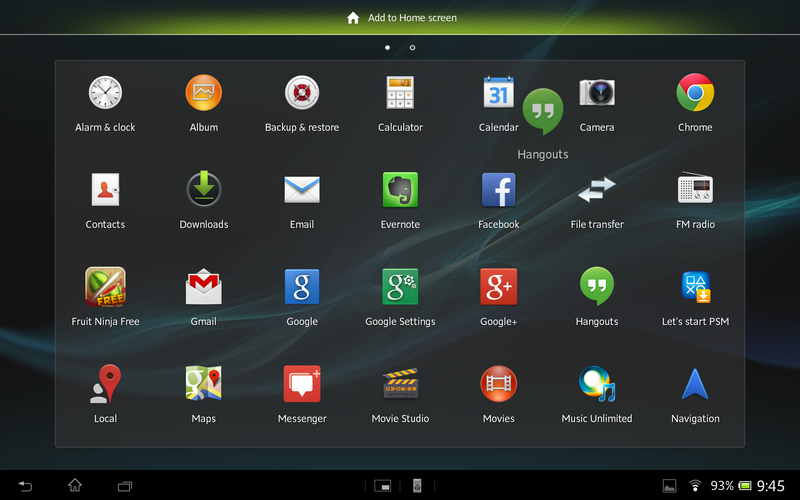 The first thing you’ll notice about the Tablet Z is that it is using the old style Android tablet UI. That’s the one with the navigation buttons off the left and the notification area on the right. I’m not particularly fond of this UI when compared to the 4.2 “Nexus” interface, but it gets the job done. Google Now can still be accessed by swiping up from the navigation buttons, and the notification area has some settings toggles included. Sony has chosen to add a small 4-icon hotseat up at the top of the screen for apps you use frequently, though it’s not the most convenient location. 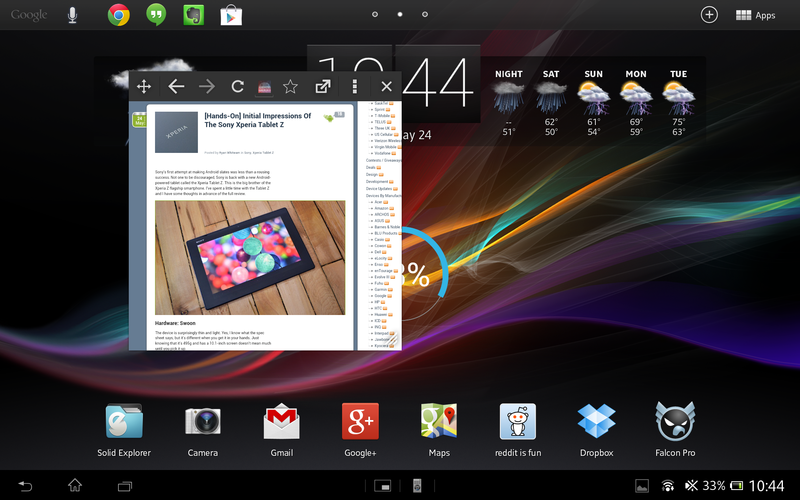 That’s really the issue with the old tablet UI -- too much reaching across the screen. I’m also confused by the decision to move the widgets out of the drawer, and into a new home screen menu. You access widgets (along with themes, wallpapers, and a dedicated app shortcut list) with a long-press. But the same menu can be produced with a pinch gesture... and also by pressing the plus button in the upper right. Why all three actions do the same thing is unclear to me, but it seems like a waste. Adding shortcuts from the app drawer also requires you to drag the icon up to the top of the screen first, which is an ongoing annoyance. The system settings are almost completely stock on this device, which I’m relieved to see. Most OEMs seem to move things around at random in the settings, making it confusing when switching back and forth between devices. Most of the additional settings Sony added are good ones. 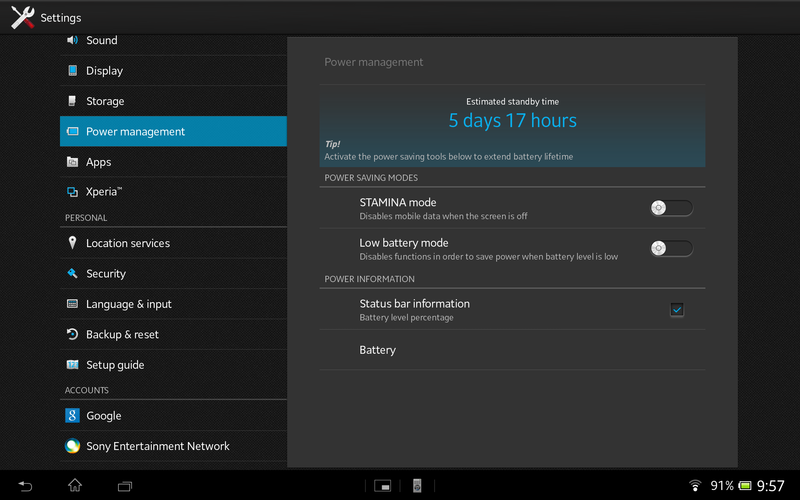 The battery saving modes mentioned earlier are useful, and the standby timer in the battery menu seems pretty accurate. As I mentioned in the Tablet Z preview post, Sony changed the color of the edge glow from blue to white. I still think that was a poor choice because so many apps use light backgrounds. You often can’t see this important bit of visual feedback. While the basics of Android are doing fine, Sony’s Xperia keyboard is not very good. It has sloppy autocorrect, no in-line spell checking, and mediocre responsiveness. The autocorrect can be disabled, but that hardly solves the issue. It has swiping input, but it is confusing to activate and not accurate enough. You'll want to install an alternative keyboard. As I said in the preview post, the things that are good about this tablet’s software are mostly the things Sony didn’t mess with. That’s more true the longer I use it. I'm not trying to be a Nexus elitist here, but Sony needs to stop changing things for the sake of changing them. That said, the Tablet Z ROM gets the job done. The full cadre of Xperia apps are on-board for this ride, and none of them are going to set the world on fire. Albums and Movies basically take the place of the Android Gallery app. There’s nothing really wrong with these apps, except for the fact they split stills and videos into two separate apps. Walkman is the included music player, and again, it’s fine. All these apps have clean UIs with a bit of a Windows Phone vibe. 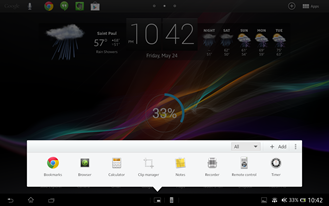 Another addition to Android in the Tablet Z is the floating widget framework. In the middle of the bottom bar you’ll find two buttons. One pulls up a small floating remote app, and the other the full list of floating widgets. It comes with several handy options like a tiny floating browser, a notepad, and calculator. 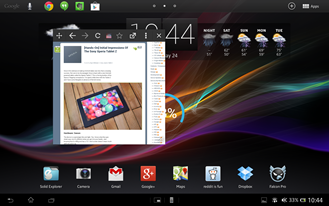 Any widget installed on the device can be added to the list and pulled up in a small floating window. These will stay on top of all other apps and are resizeable. 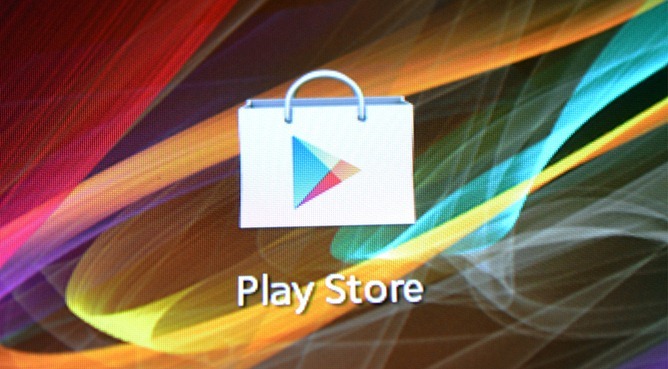 There are a few more compatible apps in Google Play as well. I like this feature, though I wish I could hide the buttons sometimes. SocialLife is Sony’s social hub where Facebook, Twitter, RSS, and YouTube come together -- or rather, are supposed to come together. Even after adding social accounts to the Xperia settings, I was unable to get SocialLife to work. It just shows me the same old demo content when I open it. I found Sony’s Unlimited Movies, Unlimited Music, and PlayMemories photo apps to be of little interest. There are considerably better services available. Another problem, none of these apps are updated on the Tablet Z, so opening them simply boots you into Chrome, which then directs you to the Play Store to update the apps. Sony’s built-in update settings don’t detect anything out of date either. Yeah, that’s not very intuitive, Sony. 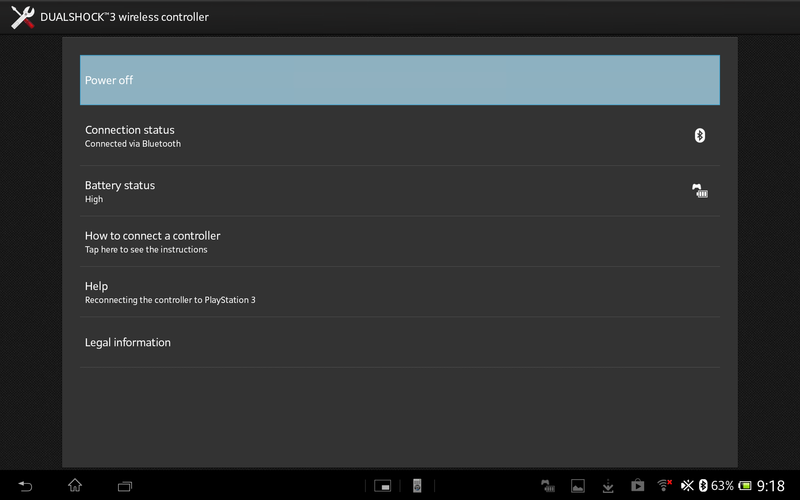 Then we have Sony’s own app ecosystem in the form of PlayNow, PlayStation Mobile, and Sony Select. PlayNow is a bizarro-world app/sound/wallpaper store that appears to offer nothing to make note of. It also performs terribly on the tablet. Sony Select is an app curation service that links to the Play Store and seems more or less pointless. I had hope that PlayStation Mobile would offer something cool, but the selection of games is not very good. I didn’t see any titles I recognized, which I have to assume means the classic PS1 games I was looking for aren’t compatible with the Tablet Z. Additionally, the PlayStation Mobile store isn’t installed by default -- there is a link in the app drawer to download it. Why? I don’t know. So most of Sony’s additional content falls flat, but you know what doesn’t? 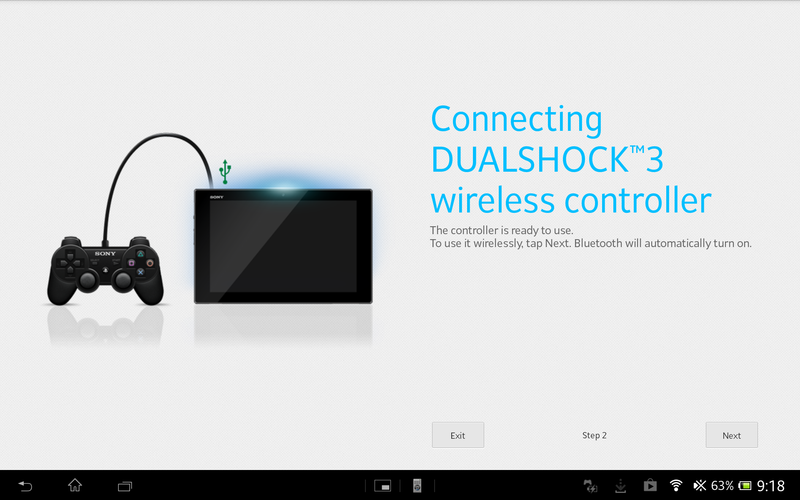 DualShock 3 support. In fact, it’s really good. It takes about 30 seconds to get a DualShock 3 paired with the Tablet Z over Bluetooth, and from then on you can tap the PS button on the controller to connect instantly. You will need a USB OTG cable to make the initial pairing. The DualShock 3 will work in any game that supports a controller. I don't detect any lag and the connection has good range. The DualShock 3 is a solid controller -- much better than any controller I’ve ever used that was designed for mobile devices specifically. Also on board is a remote control app for the top-mounted IR blaster. The app worked wonders for me, but I used it on a Sony TV. It asked what brand, and 5 seconds later my entire remote control was mapped to the on-screen interface. It was a slower process when I tested it with an LG set. I had to scroll through possible code options, but eventually got everything working. The app is responsive, but there’s always a slight delay waiting for the IR blaster to get blasting. If you have the remote configured, that popup remote widget is pretty cool. 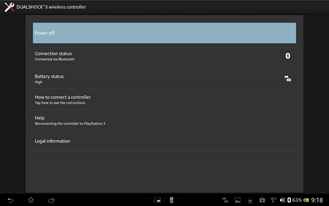 The Xperia Tablet Z is running atop a 1.5GHz Qualcomm Snapdragon ARM chip with 2GB of RAM. 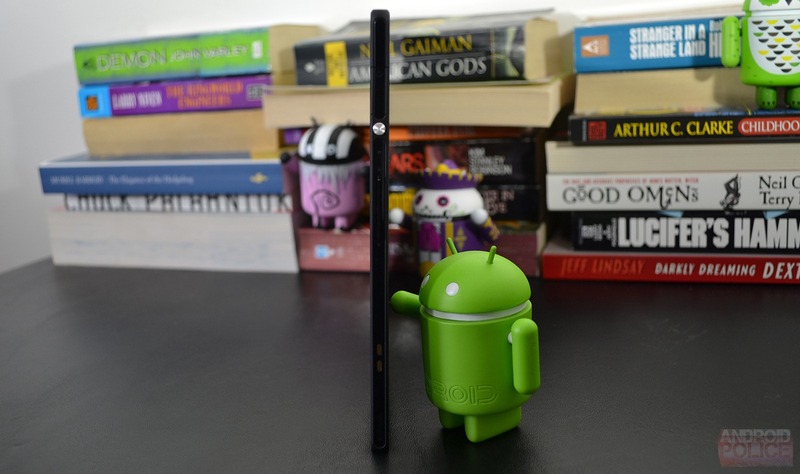 It rocks the same basic components found in the Xperia Z phone and the Nexus 4. This chip might be from last year, but I feel like the performance is overall good. 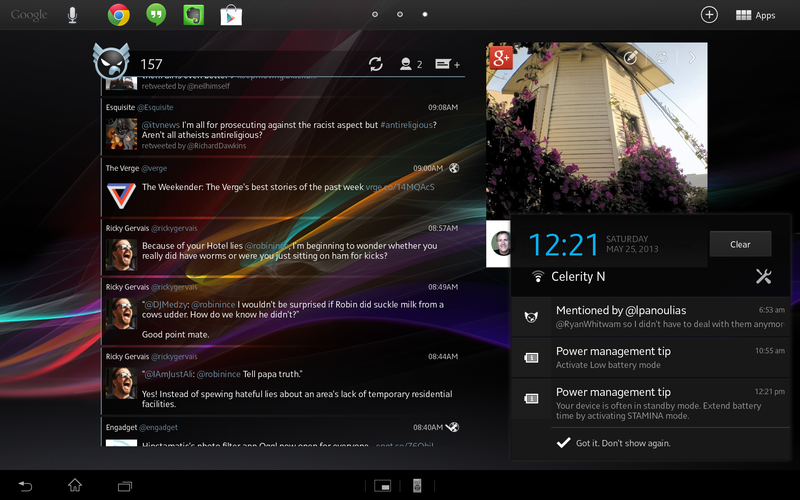 Scrolling through home screens is fluid with a moderate number of widgets in use. I do detect a little hesitation from time to time when I really load the screens up. Opening apps is fast, and the gaming performance is incredibly solid. 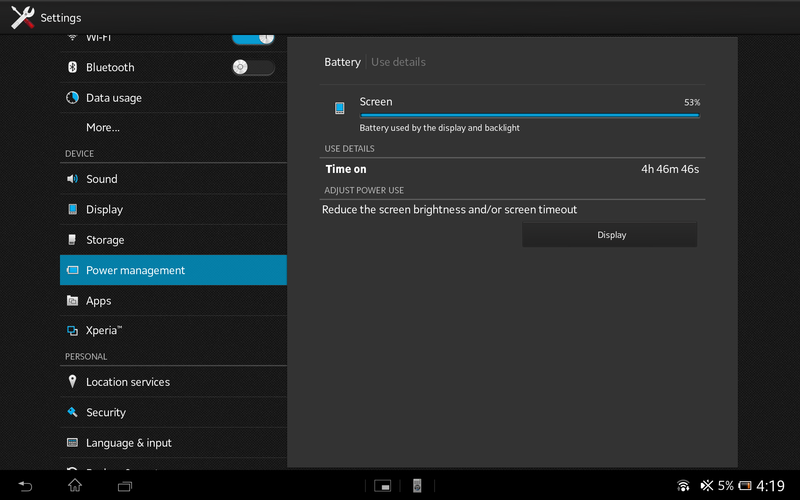 Even at the higher resolution, the Xperia Tablet Z is faster than the Nexus 7 by a wide margin. If you’re into raw numbers, the AnTuTu benchmark score for the Tablet Z is 20,147, whereas the similarly specced Nexus 4 clocks in at 14,547. The difference is likely caused by the thermal throttling issue present on the Nexus 4, but not the Tablet Z.
I like the Sony Xperia Tablet Z, but it’s mainly the hardware that elicits this reaction. This tablet feels amazing in the hands. It’s slim, light, and perfectly balanced. This is a 10-inch tablet that I can actually use comfortably when I’m not just sacked out on the couch. It is almost as easy to use as a 7-inch tablet. I find myself going for the Tablet Z in situations where my Nexus 7 or phone would have been used before. It’s really a wonderfully built device. The water-resistant design is a bonus, but I suppose it’s nice for peace of mind. The battery life is average. From a device so thin, I wasn’t expecting miracles in this department. The cameras are a disappointment, but again, I didn’t go in expecting to take a lot of photos with a tablet. It’s really just the software that makes me wary of the Tablet Z. It’s not bad – I don’t want anyone to have that impression. It simply lacks polish. Several of Sony’s apps are broken, useless, or just duplicating existing services. Most of the changes Sony made to the way Android works are acceptable, but there area few odd design decisions on display. In the end, most of the alterations are superficial and can be ignored after installing some replacement apps. It’s not ideal, but the device is still plenty fast. I can use this device and truly enjoy it, even though the software has a few issues, and I prefer a 7-inch form factor personally. At $499, the Xperia Tablet Z is $100 more than the Nexus 10 at the 16GB WiFi-only tier. I think that makes the Tablet Z a tough sell. It's a good device, but you have to really focus on build quality to justify the extra cash. For some people, that alone is enough reason to spend a little extra.